If you’re interested in cinematography or broadcast Sony has more high quality options available for you than any other camera company at this time. I have been thinking about getting back into video to complement my photography and I chose the Sony a7 II for this task, but the Sony A6300 is surprisingly capable and it’s footage can be easily blended with Sony FS5 footage. So how do you choose what is right for you? Three Blind Men and an Elephant have a good written and video review available to help you understand the differences between the Sony cameras for video. 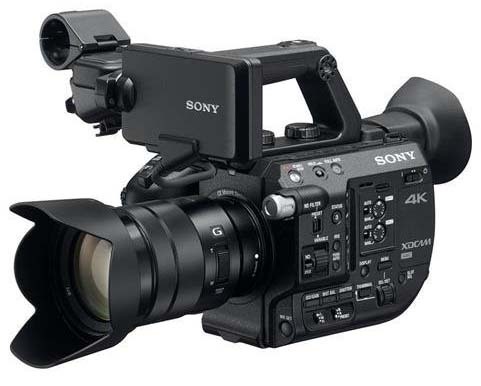 The written review explores a real world shooting situation and includes information about the Sony FS7, while the video simply covers the differences between the a6300, a7 II and FS5 cameras for shooting video. All three cameras are capable of recording high quality video, but it’s important to consider the task at hand when picking the camera that is right for you. This entry was posted in Sony a6300, Sony a7 II, Sony a7R II and tagged Sony FS5, Sony FS7. Bookmark the permalink. Trackbacks are closed, but you can post a comment.